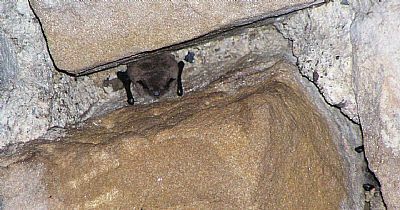 We welcome articles (both long and short) covering all aspects of Scottish bats, their habitats and conservation. Line-artwork and good quality photographs are especially welcomed with an article submission to help make it attractive to read, more easily understood and to enhance any relevant points being made. Please ensure electronic/scanned artwork or photos are kept small in size ensuring that any final contributions are kept as small as possible (ideally under 2MB). Articles should be submitted in Word format, ideally with images included in the relevant places of the article. We will undertake standard editing of each article in advance of creating a PDF for the website. We will consider relevant articles published elsewhere but it will be the author’s responsibility to clarify copyright with the primary publisher. Copyright is retained by the author. Articles can be downloaded for personal study or research, but cannot be reproduced in their entirety without prior permission from the author. At least one email address should be provided to be published with the article for subsequent communication and networking. Please ensure that any domestic bat roosts are not individually named or exact location disclosed, to protect domestic roost owner identity and to ensure no distress is caused to any individual from the future publication of Scottish BATS articles. 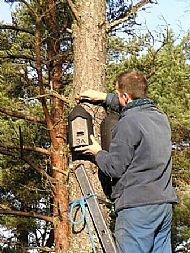 If bat roosts have to be identified to a general area then a place-name and region should suffice (e.g. Dornoch, Sutherland). Maps and photos should not identify/name domestic properties for the above reasons. Before submitting complete articles, authors are advised to consult a past volume on this website regarding consistency of style and presentation. Appropriate references should be fully acknowledged for every article submitted. Email articles to Info@scottishbats.org.uk. The views expressed by contributors are not necessarily those of the editors or Scottish BATS. The contributors retain responsibility for the accuracy of the information contained therein and for obtaining copyright permission to reproduce maps, etc. The Scottish BATS editors only take responsibility for such essential changes as are necessary to provide clarity and consistency. ‘Whatever projects you pursue, if you have interesting and reliable findings you should let other people know about them. Natural history and science are of little or no value if they are not communicated to others. Sharing your findings also enhances the pleasure you derive from your efforts’. ‘Your findings may interest others and prompt new work from them. Finally, the knowledge may benefit the bats themselves through increased public understanding and better conservation. So keep good records and share your data and ideas’. Altringham, J. (2003), British Bats, The New Naturalist, Harper Collins.